PRICE REDUCED 55K! 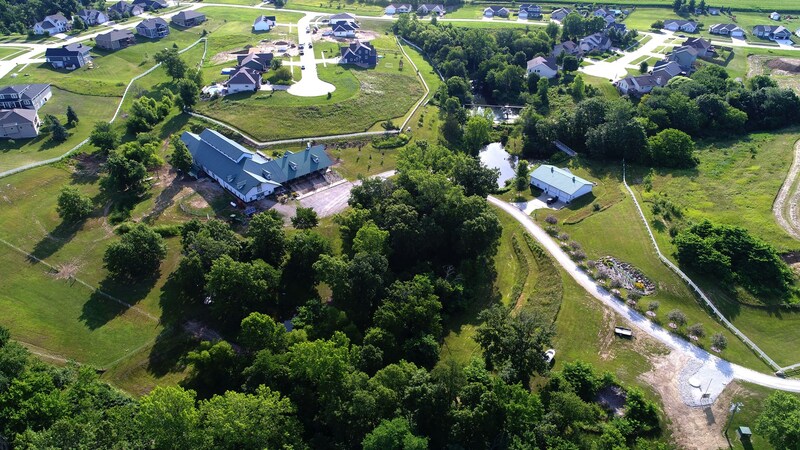 Over the past several years, the Double D Ranch has been developed specifically for top notch equestrian care with the horse enthusiast in mind. Running a small buisness, show cattle operation, or any type of hobby farm would work extremely well on the property! 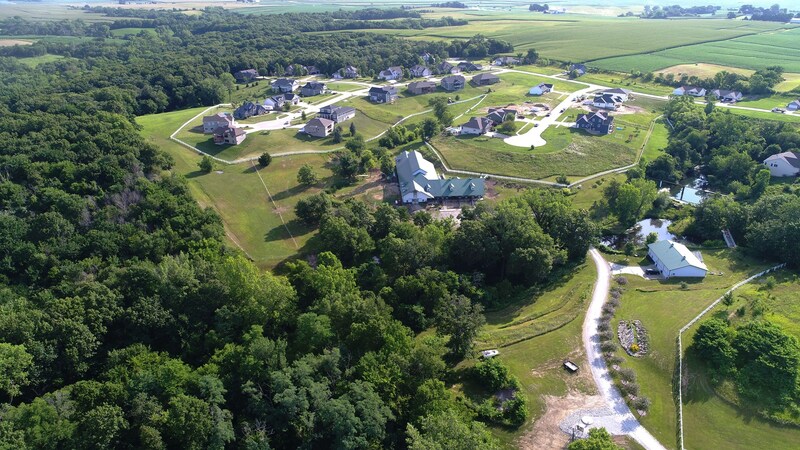 This 14+/- acre ranch's location offers a picture-perfect view of Southern Iowa's rolling timbered terrain just a short drive from Pella, IA. Upon entering the winding gated drive, you will first see one of the two well constructed metal pole buildings. This 40' x 60' building contains 1200 square feet of living quarters, a 40' x 40' area designated shop area, and an attached 16' x 18' greenhouse. This one bedroom and one bathroom " man cave " building is currently being rented by the owners generating $1,500 per month. 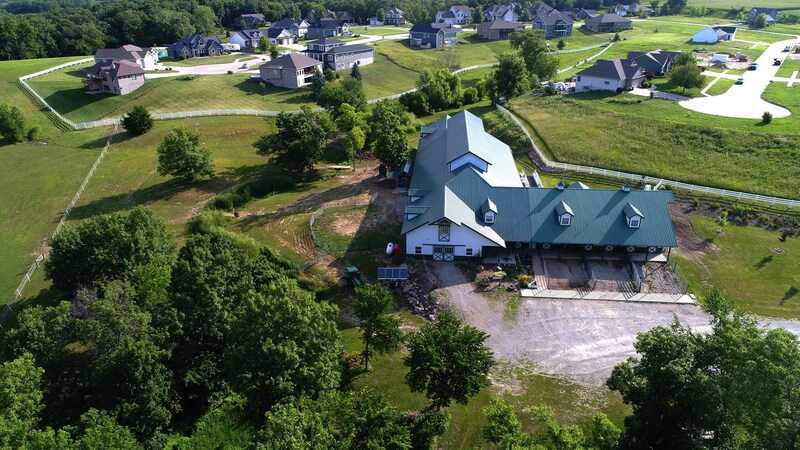 Just a short drive around the bend from the 40' x 60' building you will arrive at the largest building the property has to offer. 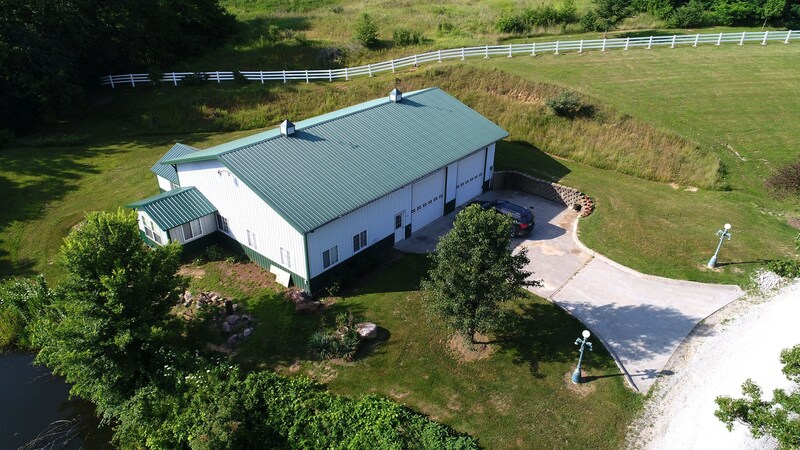 This metal pole barn contains a 60' x 96' indoor riding arena, a 12' x 30' viewing room, 14 complete boarding stalls, several tack storage areas that could be converted to additional boarding stalls, and two separate living areas located in the upper level grand totaling 12,192 square feet. Each living area provides one bedroom, one bathroom, full kitchen, dining area, and living room area all designed around an open floor concept. One of the two living areas is currently being rented for $1,000 per month, but if desired, the two could be combined for one very comfortable house setting. Stainless steel appliances, granite counter tops, heated flooring, an indoor basketball hoop, and a fireplace are just some of the wonderful amenities this living area has to offer. 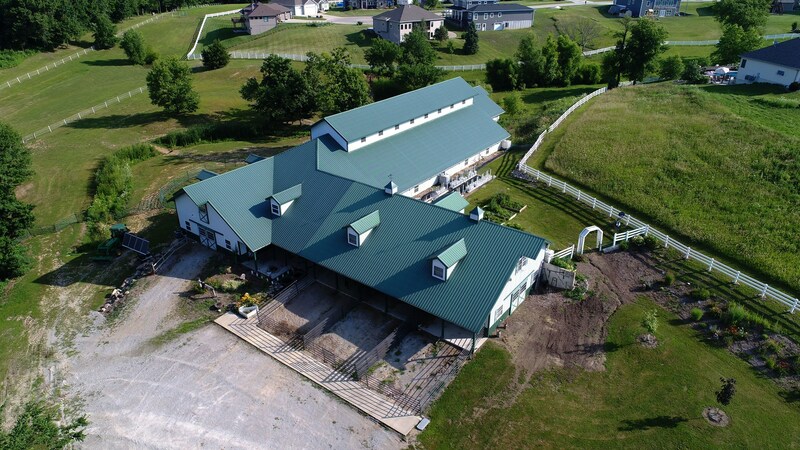 The indoor arena, acres dedicated for pasture, and riding trails winding throughout Iowa's Public Land next door offer several options for year round riding. This property has served as an excellent training facility over the years and would accommodate anyone looking for the space need to support various types of equestrian based careers. Lake Red Rock and Iowa Public Land nearby offer additional recreational possibilities for the outdoor enthusiast. 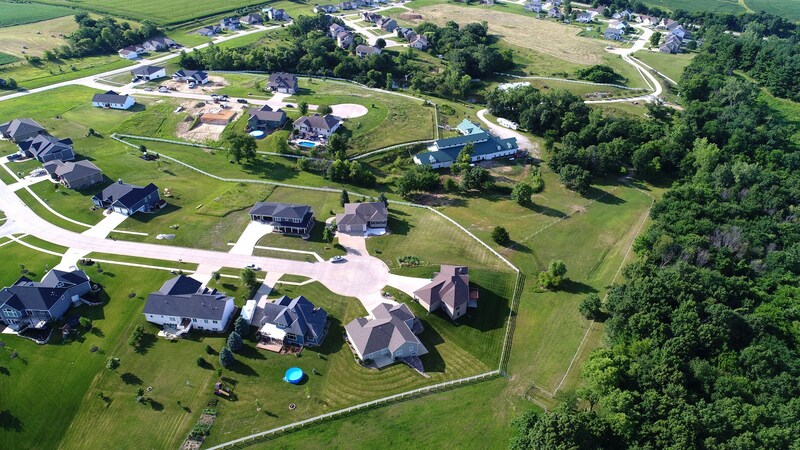 This Iowa horse ranch truly is a dream property, and one must see it in person to appreciate all it has to offer! For more information, or to schedule a private showing, contact Iowa Land Specialist Luke Nissen at 712-304-4827 or by email luke@uciowa.com.